When is this happening? 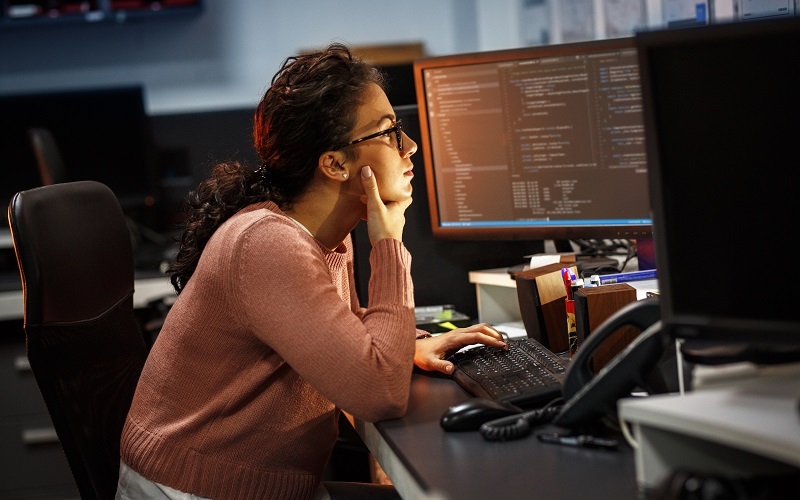 The end of Extended Support for Windows Server 2008 and R2 stops on January 14, 2020 and on July 19, 2019 for the 2008 versions of SQL Server. Without Extended Support, IT departments will no longer receive bug fixes, security updates or critical patches. Fortunately, both Microsoft and TierPoint are offering help for IT departments that need to upgrade. Microsoft has information about migration options on its website, noted Dave McKenney, director of product management for TierPoint. In addition, TierPoint can help with consulting, migration support and managed Azure services. 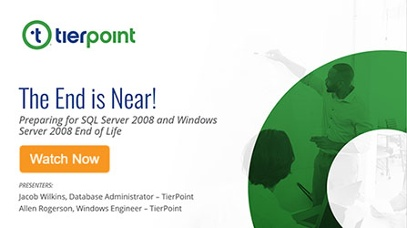 McKenney--along with Allen Rogerson, Windows engineer for TierPoint, and Jacob Wilkins, database administrator—hosted an informational webinar, The End is Near! Preparing for SQL Server 2008 and Windows Server 2008 End of Life to help IT administrators understand their options. Following is some of the highlights from that session. Containers. Windows containers provide operating system level virtualization to enable Windows and Linux applications to be packaged with their libraries and dependencies, and then run on a single (Windows or Linux) without needing individual servers for each application. Developers use the open source Docker tools to create Windows containers. Host Guardian Service (HGS) and shielded VMS. The HGS provides confirmation and key protection to “shield” the Hyper-V VMs from tampering or unauthorized access. Windows Defender Credential protects login credentials against theft or malware by storing them in protected containers. Upgrade to an on-premises version of Windows Server 2016 or 2019. This is a straightforward option but is likely to require downtime to accomplish. Rehost workloads in Azure. Customers can begin migrating their 2008 workloads to Azure VMs and receive free Extended Security Updates for an additional three years. Upgrade first to 2012. Organizations that can’t afford any downtime to migrate to the on-premises 2016 can, instead, upgrade 2008 to 2012, then to 2016. There is no way to upgrade directly to 2016. Those on or migrating to 2012 are encouraged to continue the upgrade planning process as mainstream support for 2012 has ended and extended support will end in 2023. Waiting to migrate and buy Extended Security Updates is another non-migration related option. The Extended Security Updates, available for three years, doesn’t provide bug fixes, compliance updates or any other new features or fixes – just basic security patches. SQL Server 2017 and Azure SQL Database have several useful and innovative new features--including better diagnostics and administration, faster performance, advanced analytics and business intelligence, hybrid cloud features, data warehousing and OLTP performance improvements. Always-on Availability Groups, introduced in 2012, is perhaps the most popular reason for migrating. Availability groups are a set of databases designed to fail over together. The feature offers database-level protection and high availability and disaster recovery, as well as offloading of read-only workloads from your primary replica to a secondary, conserving resources for mission critical workloads. Always-on Failover Clustering, enabled by Windows Server Failover Clustering, is a SQL Server instance installed across nodes in a cluster with shared disk storage. Always-on encryption keeps data safe as it moves to and from the Database Engine. Even the DBAs working with the data can’t see it if they’re not authorized to. Row-level security provides greater granularity by allowing data owners to restrict visibility of entire rows based on the user and query. For example, an unauthorized user in marketing querying an employee database for possible charity volunteers won’t be shown a row of employee social security numbers. Data masking obfuscates data by replacing it with equivalent but fake data for non-authorized users. Data masking allows developers, application testers and others to use the data without seeing the actual information. In-place upgrade. You can choose to move up to SQL Server 2012, 2014, 2016 or 2017. However, SQL Server 2012 is already off mainstream support and 2014 goes off it this coming July. Because upgrading is a time-consuming project, it’s best to move to the latest version available to increase the time before the next upgrade. The downsides are downtime and a more complicated rollback should that be necessary. Side-by-side migration. This option helps minimize downtime and allows for testing in the new environment pre-migration. Rollbacks are easier too. However, it does require additional hardware. Move to Azure. As with Windows Server, you can migrate to Azure SQL Database Managed Instance. Managed Instance is a new version of the original Azure SQL Database that is nearly equivalent to on-premises SQL Server. Hence, if you need instance-level features in SQL, this is the better version. Regardless of which path you choose; expert assistance can make the move go more smoothly. As a managed Azure services and colocation provider, TierPoint has the infrastructure and expertise to help you plan and execute a migration or upgrade quickly and with minimal downtime. To learn more about Windows Server 2008 and SQL Server 2008 migration options, tune in to the webcast The End is Near! Preparing for SQL Server 2008 and Windows Server 2008 End of Life. You can also find more information at Microsoft’s 2008 End of Support Resource Center.